You might think of testosterone as the “superman” of hormones, but if you are expecting anything to transform you into superman overnight, you should find out what to expect when starting testosterone therapy. If you do, then you can avoid making some of the same mistakes that have been made by a significant number of men who have tried using this treatment. To be fair, the explanation for their false assumptions can probably be found in the countless ads for erectile dysfunction drugs that appear on television, online and in magazines. Take a pill and get an immediate erection that will leave you and your partner with big smiles on your faces. However, testosterone replacement therapy is not designed to work that way. It requires diligence and a certain amount of patience, because the results of treatment are not instantaneous –they are progressive and are experienced incrementally. So to avoid having any false expectations, our doctors have compiled this approximate timeframe (because every patient will respond uniquely) that addresses some of what to expect when starting testosterone therapy and beyond. There are a number of additional health benefits that build up as treatment continues. Improvements in libido typically begin after 3 weeks of treatment and continue to increase up to 6 weeks from the start of treatment. Libido often plateaus for patients at this point. Improvements in depressive feelings also typically appear after 3 to 4 weeks of treatment; improvements in inflammation can appear anytime after 3 to 12 weeks. Fat loss and muscle tone improvements usually occur after 3 to 4 months of treatment with maximum fat loss occurring at the 6-month point of treatment. Significant improvements in erectile function can take as long as 6 months to appear. The lasting benefits of testosterone replacement therapy require time to develop. But this is the only safe way to effectively increase your Low T levels. Will Low T Therapy Permanently Eliminate Your Symptoms? In the medical practice of bio-identical hormone replacement, therapy is generally an ongoing process. The goal of supplementing of your natural hormone supply is to replace the hormones you are no longer producing and increase your levels to bring them back up to the clinical range that is considered health for your age. This is how your symptoms are effectively eliminated. And while it might encourage your body to increase its production, clinical trials have shown that patients should only anticipate marginal improvements in this area. So that brings up another aspect of treatment that people who want to know what to expect when starting testosterone therapy need to be aware of – eliminating your symptoms permanently could turn into a lifelong commitment. Just as it is for anyone who has developed a chronic medical condition, such as diabetes and other manageable diseases, there are times when treatment is going to be an ongoing process. 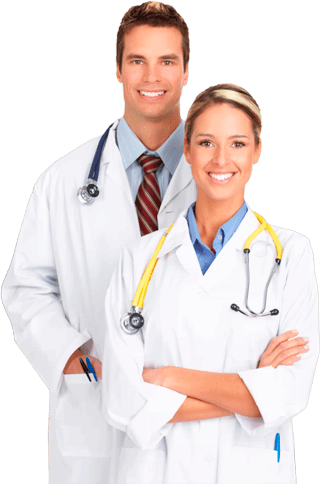 The majority of respected hormone therapy doctors are generally very frank with their patients about this aspect of treatment before they start. It’s a good news/not-so-good news situation in a way: Yes, you are very likely to receive substantial relief from your troublesome Low T symptoms but you are going to have to stay with the program for as long as you want that relief. Yet many men find that the benefits they receive from their testosterone replacement therapy are well worth making that kind of commitment. When you understand that your testosterone levels can only be measured through the use of serum (blood) blood testing, it becomes obvious why testosterone replacement and many other types of hormone replacement therapy have to be prescribed and monitored by medical doctors. And medical supervision is what any responsible person should regard as part of what to expect when starting testosterone therapy. If you were to believe everything that appears on the Internet, you would be left with the impression that anyone can illegally obtain injectable testosterone and simply self-administer it with no clinical testing and no doctors involved. Yet look at the sources proposing this particularly reckless course of action: Primarily bodybuilders or gym addicts who are often not even testosterone deficient to begin with. Using steroids and illegally purchased biosynthetic hormones is nothing new to this culture; but however you choose to describe this culture, it is certainly not a culture of long-term health. Testosterone in any form is a powerful substance, which is why its excessive loss can reduce both your quality of health and your quality of life. A medical prescription is legally required for anyone in the US to purchase authentic pharmaceutical-grade testosterone treatments, regardless of what form they are in – injections, topical gels, pellets or any other form. Proper medical treatment of Low T also requires ongoing blood testing to ensure that your hormone levels don’t become excessively high, because that can directly cause serious health problems, too. For safe and successful treatment, get proper testosterone replacement therapy from experienced and highly qualified medical providers such as Nexel Medical. It’s the only way to obtain the positive results you want with none of the adverse effects you don’t want.